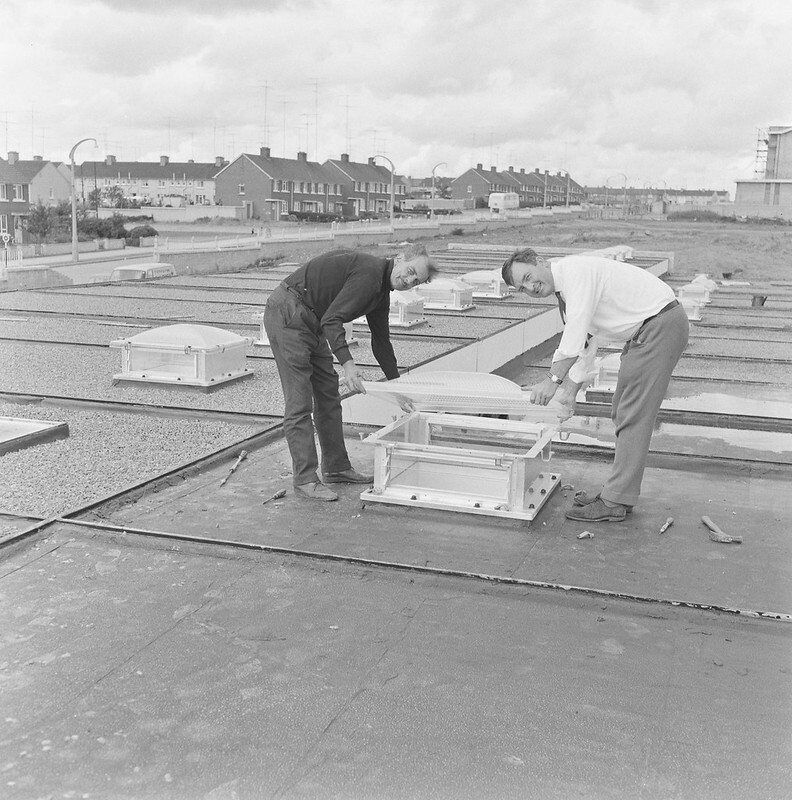 The title for this O’Dea shot is "Platform New School – Terrapin Ltd. – Dermot Lalor fixing domelight, Finglas, Co. Dublin.". At that time Finglas was expanding rapidly so this could be any of several schools with new technology being introduced. Originally posted in a flipped/mirrored state (thanks Niall McAuley for the heads-up), following a correction it seems that this is definitely in Finglas, possibly on the roof of Coláiste Íde, looking north towards the Church of the Annunciation. The church (built at the same time these chaps were fitting windows nearby), was scheduled for demolition in recent years – owing to falling attendances and structural problems…. Image published by National Library of Ireland on The Commons on 2019-02-20 08:38:56 and used under Creative Commons license.